We've built close relationships with the finest producers, growers, providers and artisans in Derbyshire, South Yorkshire and surrounding areas. Unfortunately we couldn't find any oceans in Derbyshire, so we source our dayboat fish from Cornwall... caught in the morning and delivered the same day - it doesn't get fresher than that. There is something for everyone whether you want a stone baked sourdough pizza or something light from our lunch menu. 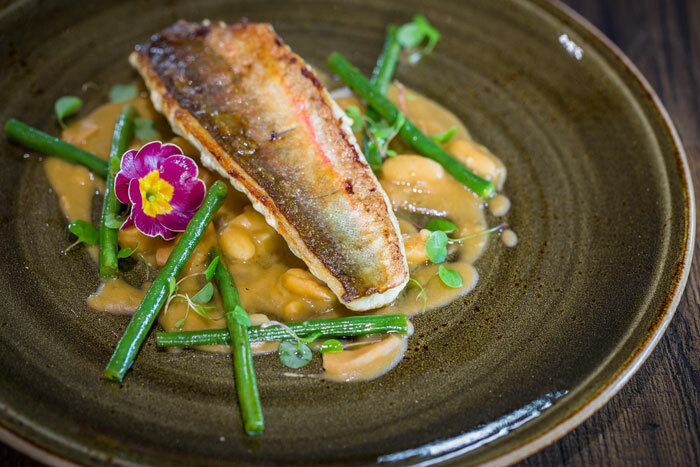 Some of our dishes have an element of Italian inspiration, maybe one or two ingredients but we pride ourselves with comforting food but executed really well. We have a specials board too on an old school blackboard where we show a bit of flare on the restaurant menu. A children’s menu is also available. Our ethos is to give you an experience to remember from the moment you book to greeting and serving you with a smile. Our service is complementary to the fine food and drinks we serve. There are various meals from fresh pasta, home pressed burgers, seasonal fish, seasonal salads, vegetarian, vegan and gluten free options too. If you want to find out where our food comes from, just click below to familiarise yourself with our key suppliers.